I am always keeping a keen Metal eye out for Heavy Metal collectibles. Picture discs of my favorite bands are an irresistible item for me, with their usual low print run and display appeal. Picture discs are vinyl records, they come as either 7″ or 12″ and have graphics and/or images actually printed on the vinyl itself. Sometimes, picture discs can be found that are die-cut as well, making for an even more unique Heavy Metal collectible. Recently, I have been unearthing some of my Heavy Metal picture discs from years/decades passed, while picking up some new picture disc finds as well. I try not to spend a ton of money on these picture discs either, getting a great Metal deal is my long standing goal. One particular picture disc I purchased this past year is a Maria Brink/ In This Moment – Prayers 7″ and it is hand numbered 292/600. That is a very limited print run… just 600 of these picture discs exist! Um, I would lean towards this picture disc being considered rare. This picture disc was originally released in 2007. I bought this fine Maria Brink/In This Moment picture disc at Century Media Records online or CM Distro… for a whopping five dollars. Five dollars! 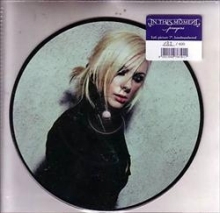 The two songs on this picture disc are taken from the In This Moment debut album – Beautiful Tragedy. The two songs are: prayers and daddy’s fallen angel. Maria Brink is the lead vocalist for In This Moment, a Metalcore Band that released their U.S. debut album Beautiful Tragedy on March 20, 2007. Maria Brink delivered some of the heaviest vocals I have ever heard from a female lead Metal vocalist, her Death Metal growls caught my attention very quickly on this terrific album. Don’t be fooled however… Maria Brink can sing lights out, make no Metal mistake about it. This album I highly recommend, especially for fans of Metalcore and Metal female vocalists. 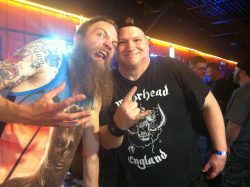 Honestly, Beautiful Tragedy should pacify any yearning Extreme Metal fan. 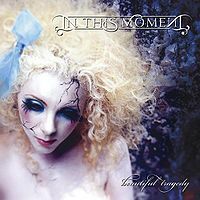 The second album from In This Moment, features much more diverse and matured vocals from Maria Brink. A tremendously more commercial path In This Moment took, with The Dream. Released in the U.S. on September 30, 2008, The Dream not only took me by surprise with it’s 180 degree Metal Music turnaround, it is also one of my favorite albums from that year. The Dream in my Metal opinion, is a top ten Heavy Metal album from 2008. 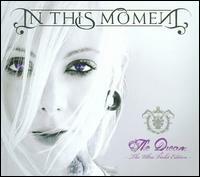 Maria Brink delivers harmonious and melodic vocals on The Dream. Her soothing and ultra emotional vocals on The Promise: Into The Light are beyond memorable for me. A cool CD single I picked up from In This Moment is titled Prayers. I bought it due to my needing anything and everything that Maria Brink’s vocals are on. Plus, I am a collector of this band, so getting ahold of this CD single for only two bucks is a Metal deal of the century. Yes, this CD single was on the clearance rack at Century Media Records online… CM Distro. 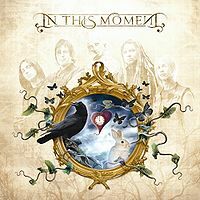 I can’t say enough about the musicianship of the entire In This Moment band… both past and present members. After just two studio albums, this is a Metal Band that can only get even better… and I will be as eager as ever to listen. Maria Brink has already elevated herself to the very top of today’s female Metal vocalists, that is my Metal opinion and I am not bashful to admit it. If anyone out there knows of any other Maria Brink and/or In This Moment picture discs, imports or CD singles that exist, feel free to comment… it would be appreciated with the highest Metal gratitude.